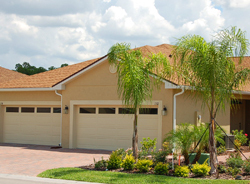 There are many different 55 plus communities to choose from in Florida, but none of them are like Vienna Square. Our retirement community is specially designed for seniors who want to rest, relax and enjoy their retirement years. 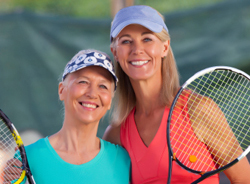 Century Residential is a leading developer of Florida retirement communities and we know exactly what features and amenities retiring seniors value in retirement communities. The warm climate and mild winters of Central Florida make the area prime real estate for retiring seniors. Year round sunshine makes it easy to enjoy outdoor activities such as swimming and golfing. Active seniors can also enjoy visiting some of Florida’s most famous waterways. Fishing, boating and swimming are year-round activities in the Sunshine State. Residents of Vienna Square enjoy vacation style living all year long. 55 plus communities are a dime a dozen in Florida, but Vienna Square stands out among them all. Rated as one of the best 55 plus communities in the state, Vienna Square offers retiring seniors amenities, features and living options that you will not find anywhere else. 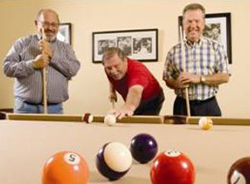 Our clubhouse gives you the opportunity to enjoy time with old friends while also making new ones. Connect with other retired seniors over coffee or during social activities. You can enjoy game nights, cooking classes, arts and crafts and other activities at the club house. Located in the charming city of Winter Haven, Vienna Square is convenient to great restaurants, shopping, challenging golf courses, fishing, boating, water sports and more. Take your visiting family around the Winter Haven area to a sporting event or a local eatery. Go shopping or visit museums and parks. You can even visit a country club or fly over one with a bi-plane ride. The Winter Haven area offers so much to see and do. You can enjoy everything without traveling far from your home. Vienna Square is one of the only 55 plus communities to offer such convenience. We offer resort style living with our maintenance-free villas and single-family homes. We offer a range of services such as lawn and laundry to make you feel like you are on a permanent vacation. Our goal is to pamper you. 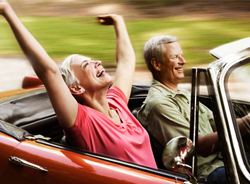 We take care of most of the hassles of home ownership so you can enjoy your retirement to the fullest. One thing that attracts many retirees to our community is our Secure Care Pledge. Quality amenities and organized social activities. Maintenance-free living. Exceptional home financing options. Priority access to our continuing care campus. An experienced, award winning developer. These are just some of the services and features that sets Vienna Square apart from all the other 55 plus communities in Florida.